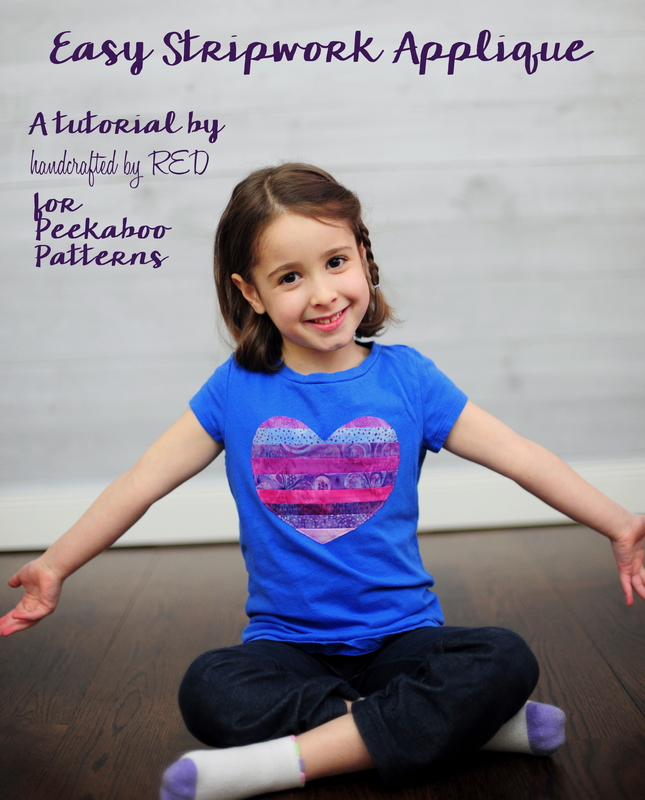 Easy Pieced Stripwork Applique Tutorial - and other embellishment ideas! - Peek-a-Boo Pages - Patterns, Fabric & More! 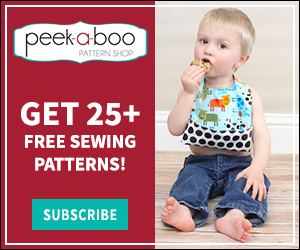 Easy Pieced Stripwork Applique Tutorial – and other embellishment ideas! 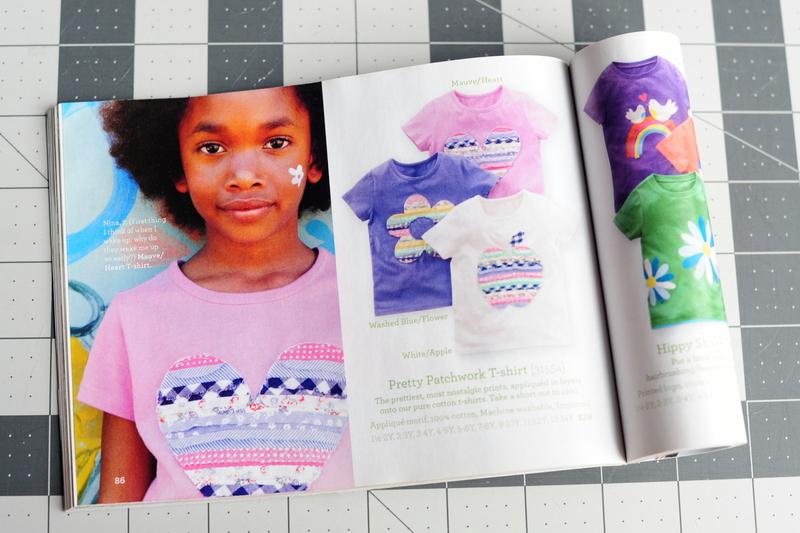 I saved the catalog in my stash and recently came across the pic again. 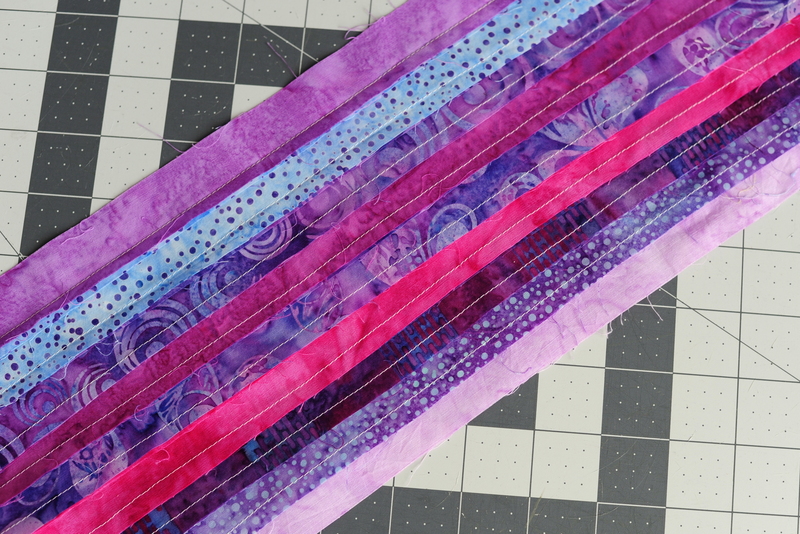 I’ve tried a few different variations on this idea, and my favorite involved piecing narrow strips of woven fabric together before cutting out my desired shape for applique. 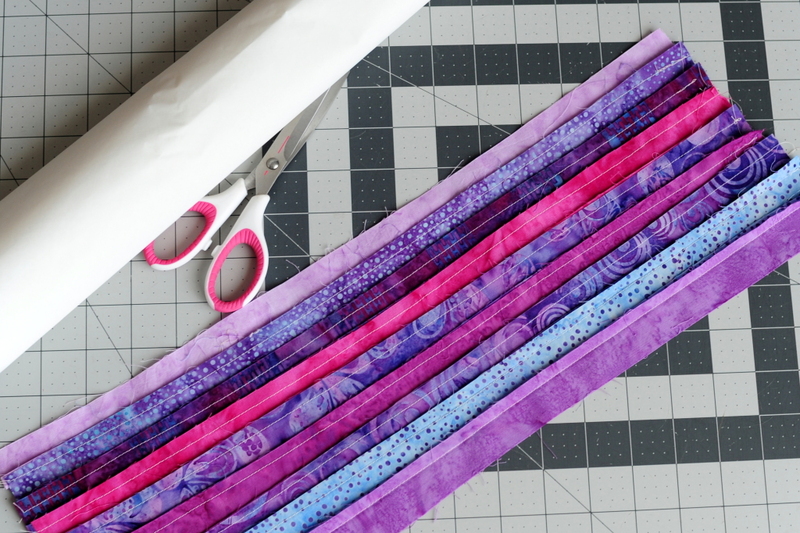 This is an awesome scrap-busting project, or great for pre-cut packs of coordinating fabrics like jelly roll strips or fat quarter bundles. 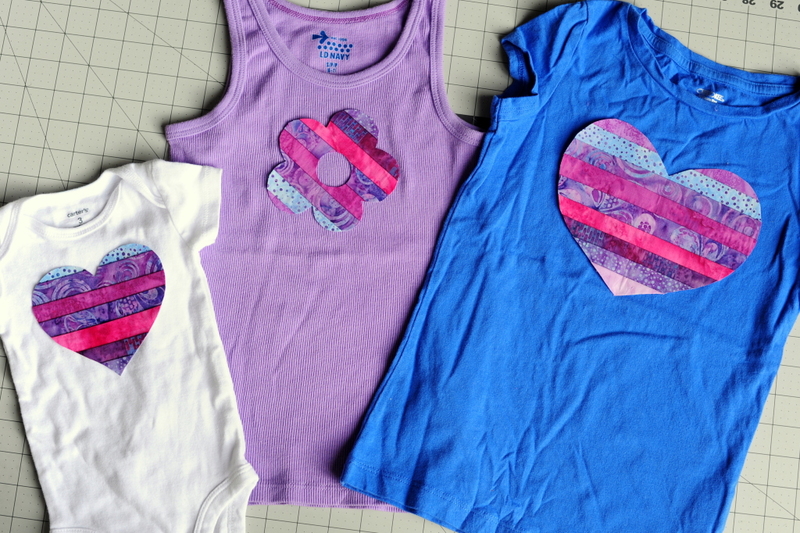 You’ll also need a blank tee or tank to add your applique to, once it’s all sewn together. 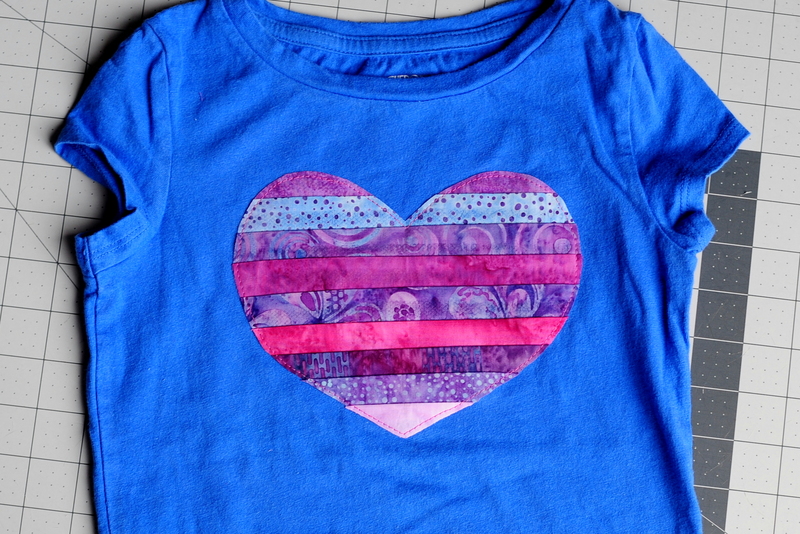 I used a Target girls’ tee and some odds and ends from a jelly roll bundle of quilting batiks that came with my (used) sewing machine when I bought it last year. I bought my machine from the son of a quilter who had recently passed away, and he gave me all of her stash, threads, and supplies along with the machine. I’m a sentimental mush, so even though I never met the woman, I love using some of the pieces that I’ve found in those bins. 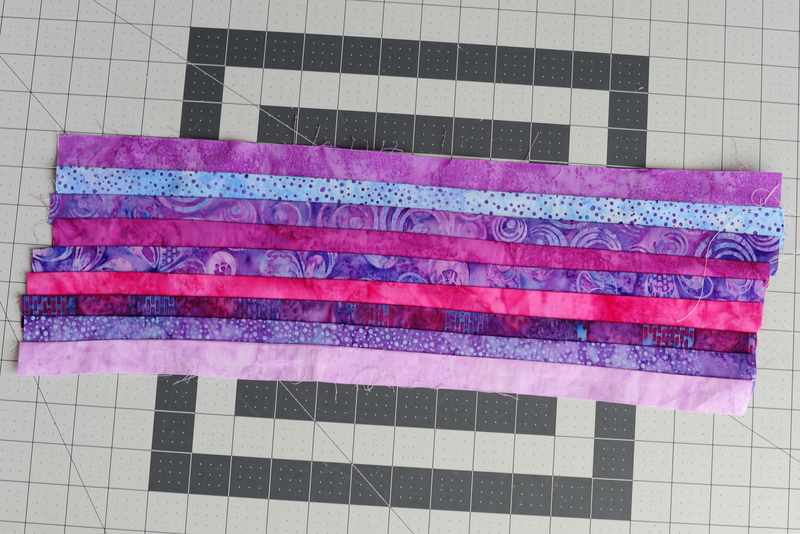 Jelly roll strips are 2.5″ long x width of fabric, so I cut mine to be 1.25″ long x 1/4 wof, giving me four strips from each original jelly roll strip. You’ll want to sew the strips along the long sides and right sides together (RST), until you have the size necessary for your applique. Make sure to press your seams so they’re all going in the same direction – I started to press mine open but after a couple of burned fingertips I caved and just pressed the seams down. 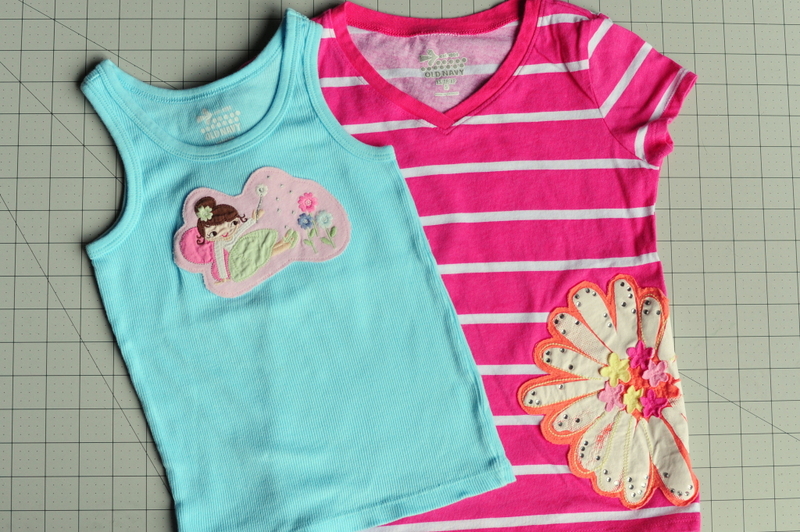 Next, you’ll need to add a piece of fusible adhesive so you can iron the applique onto your shirt. I use Heat n Bond Lite, but you can also buy Wonder Under by the yard at stores like Joanns. Cut the fusible adhesive to size, and follow manufacturer’s directions to adhere to your pieced fabric. 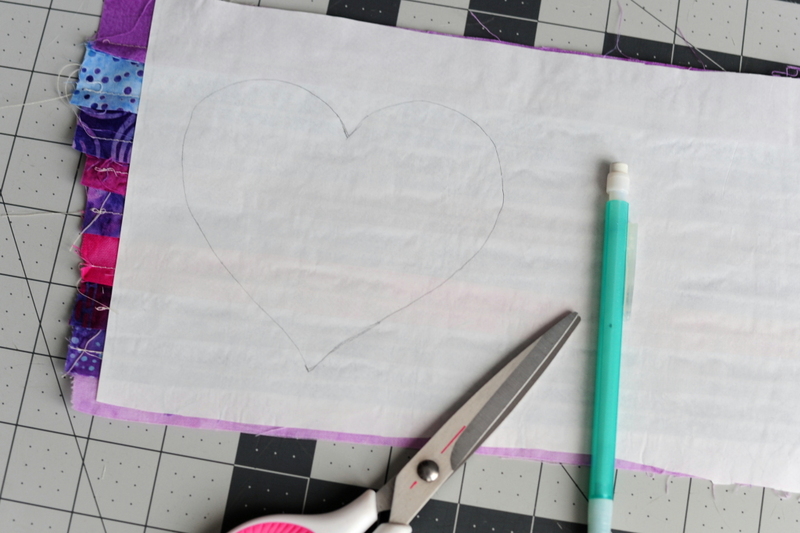 Once it’s been ironed together, you can sketch out your applique shapes and cut them out with a sharp pair of scissors. 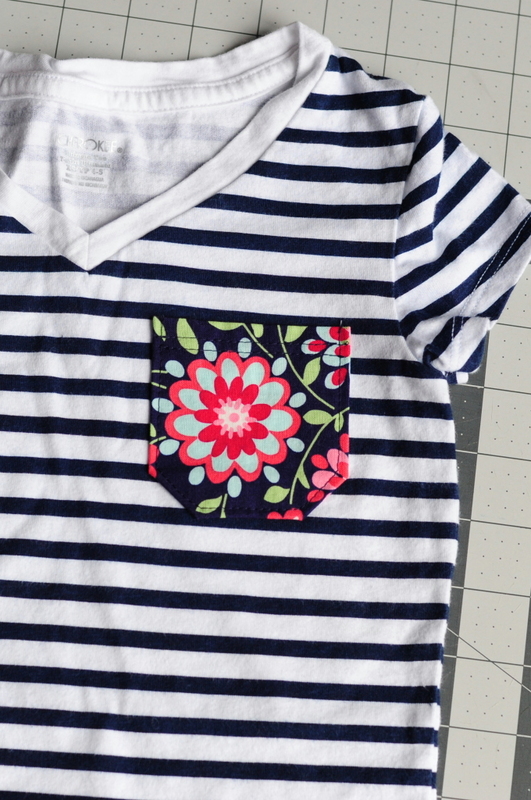 Decide on the placement of your appliques, remove paper backing, and follow manufacturer’s directions for adhering to your shirt (or tote bag, or whatever other item you’re using for your applique). Unless you use a heavier (more permanent) fusible adhesive, you’ll also need to topstitch your applique after you’ve ironed it in place. I like to use a fairly short straight stitch and let the edges fray a bit in the wash, but if you don’t want any fraying then you’ll want to make sure to use a tight zig zag or satin stitch for your topstitching. My girl is wearing a pair of the Yoga Girl pants made from jegging fabric – that pattern is a staple around here! 1. 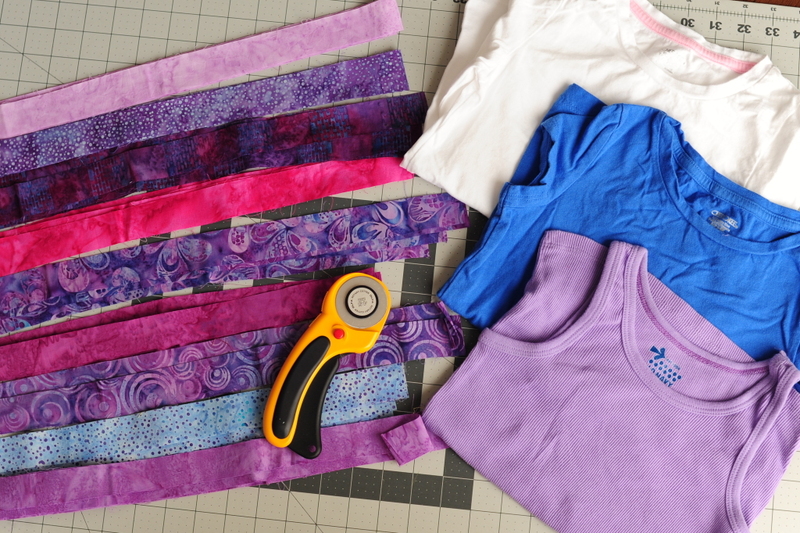 Freezer paper stenciling and/or buttons. This red and white striped dress was $5 at H&M, and has been one of our most-worn summer dresses for two years straight. 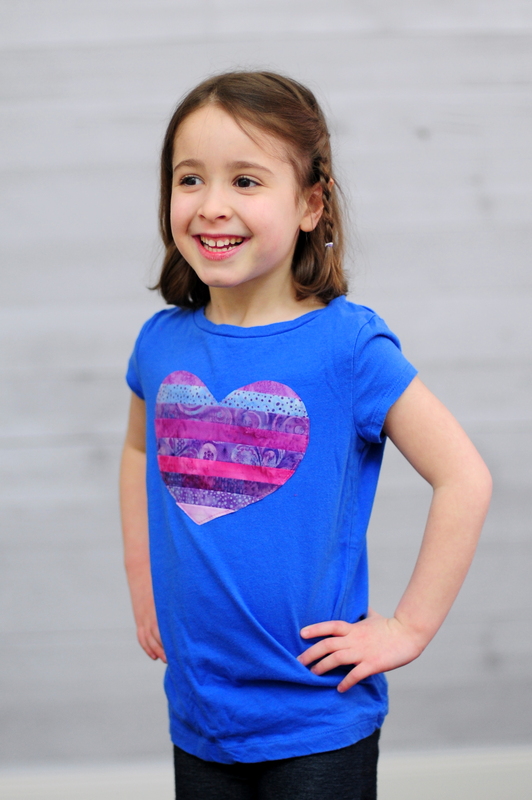 H&M is a great source for solid colored tees and tanks (they often sell them in pre-packaged pairs), and usually have some inexpensive dresses like these in the summertime. A few fun buttons are an easy way to jazz up a plain shirt or dress, too. 2. 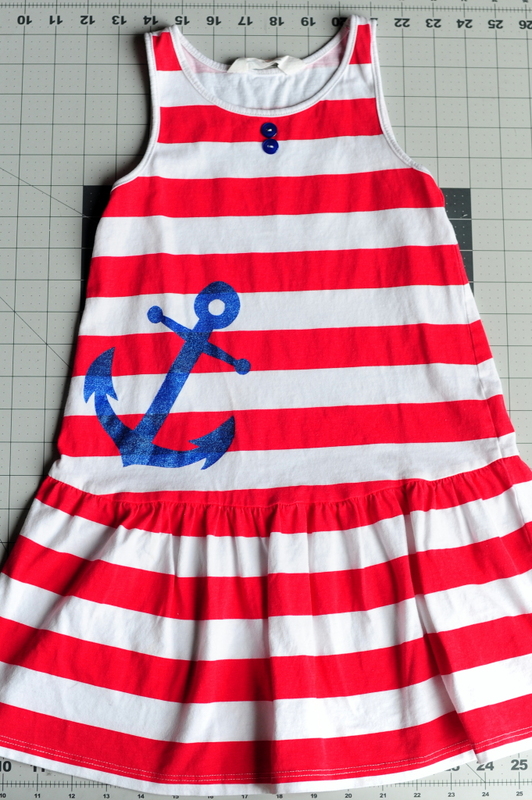 Trace the neckline of the top to add a quick and easy bib applique. I find it easiest to attach any trims directly to the bib piece (like the ruffled elastic here), and then use fusible adhesive to attach the bib to the shirt before topstitching in place. 3. Add a pocket! I like using woven fabric for my pockets, since they press nicely and are easy to attach to the knit tee. I like to use a little bit of Wash-away Wonder Tape to hold the pocket in place while I’m sewing it down. 4. 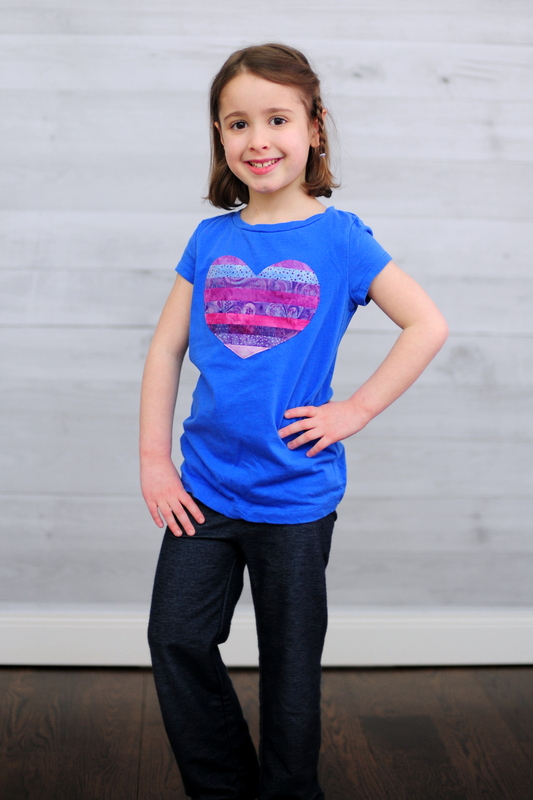 Add a pocket – AND a skirt! 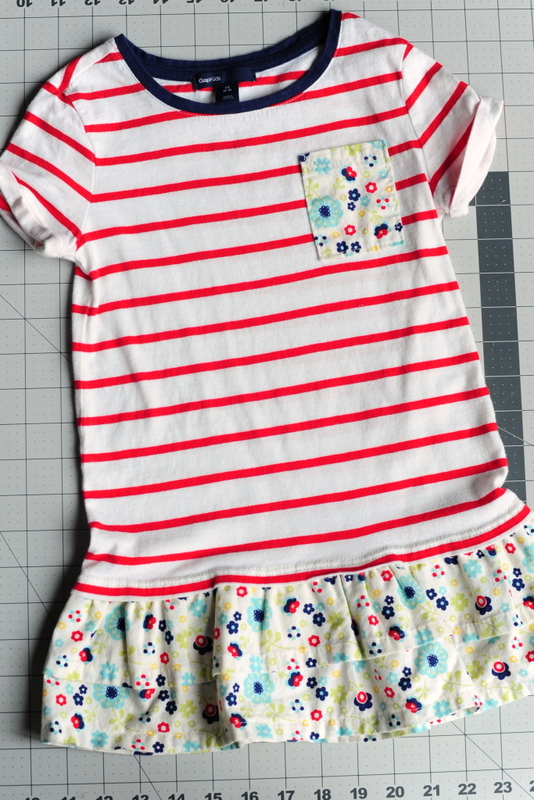 I turned this tee into a tunic by adding tiered ruffles directly to the existing hem of the shirt. For smaller sizes, just using the width of the fabric for your ruffle usually gives you a nice amount of gathering. 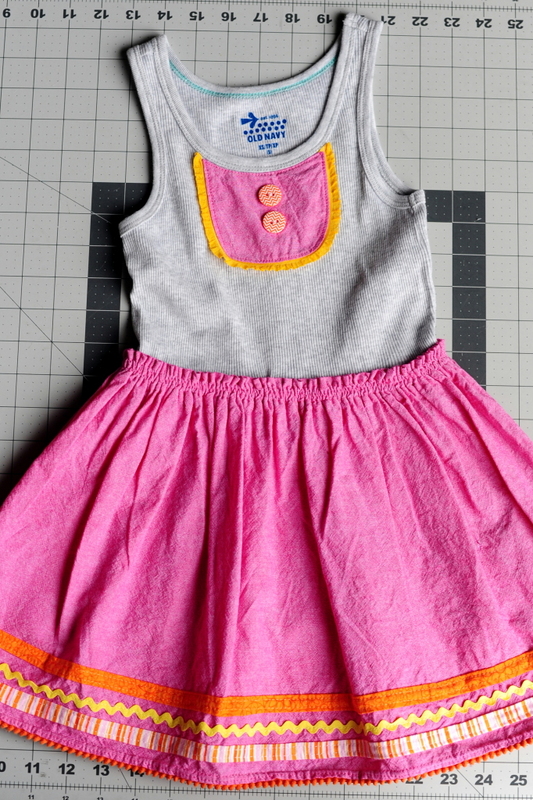 You can also use measurements from a pattern that has layered ruffles, like the Ashley Knit Ruffle Dress. 5. Last but not least, upcycle! I like to save graphics from stained-beyond-playwear shirts to give them new life as an applique. 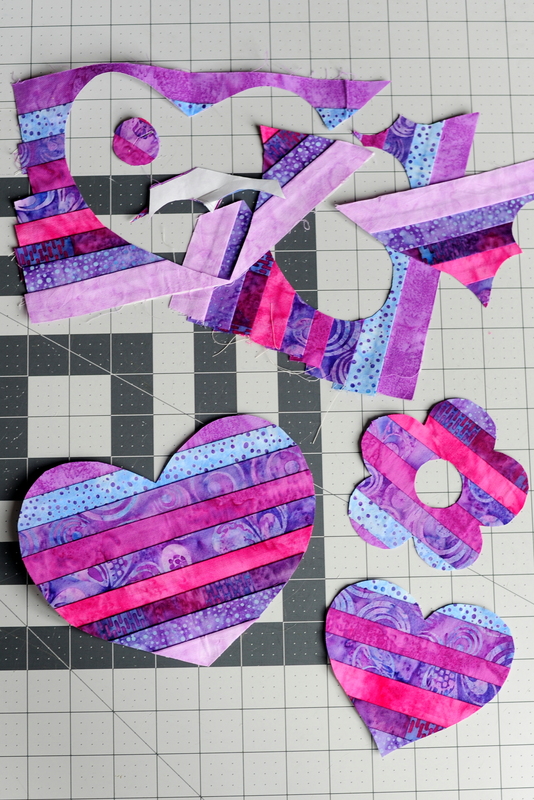 Just like with the other appliques, you’ll want to use a fusible adhesive here too. 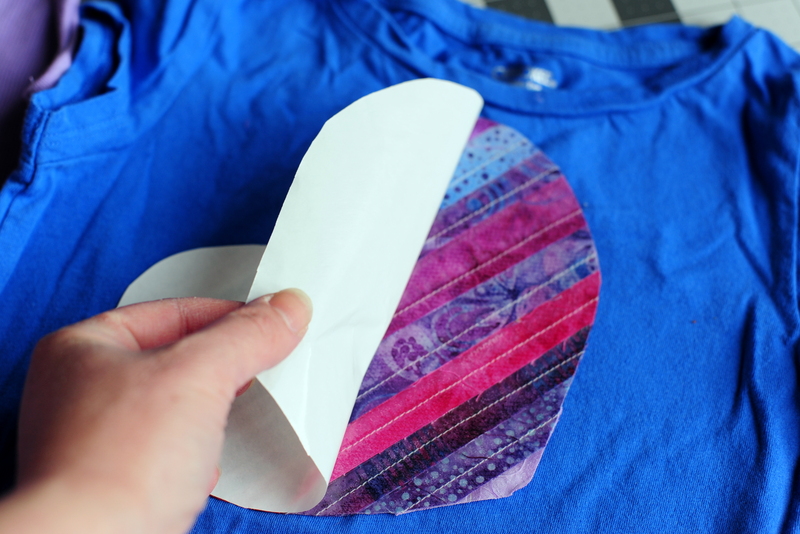 I iron it onto the back of the graphic first, and then cut around the shape to yield my new “applique.” Iron that onto your new tee or tank, topstitch, and you’re done! 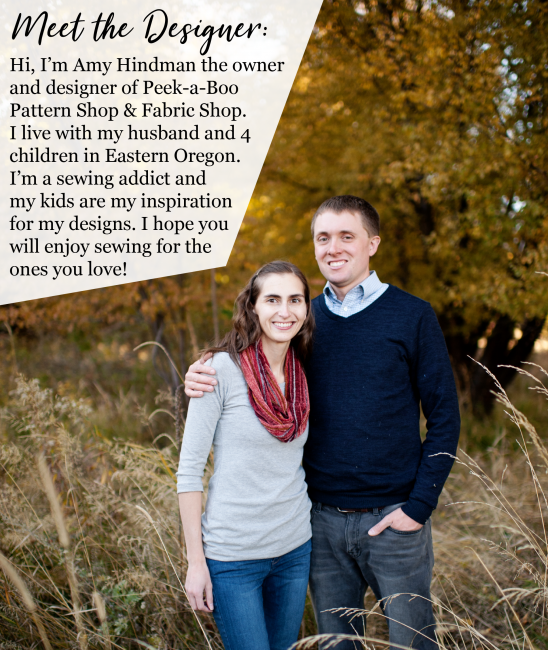 We’d love to see what you come up with – make sure to join us in the Peek-a-boo Patterns Facebook group to share projects, tips, and tricks!